Wakefield Trinity winger Tom Johnstone has revealed the nerve-wracking moment he felt his England chances had disappeared for a third time. The 23-year-old is one of five uncapped players today named in Wayne Bennett’s 24-man squad for the autumn internationals. He missed a potential World Cup spot last year having seen most of his season wiped out by a knee reconstruction but has enjoyed a brilliant campaign this time, scoring 24 tries and yesterday being named in the Super League Dream Team for the first time. He hopes to make his England debut against France at Leigh a fortnight tomorrow as Bennett’s side - which also includes Johnstone’s club-mate Reece Lyne - warm-up to take on New Zealand in a three Test home series. 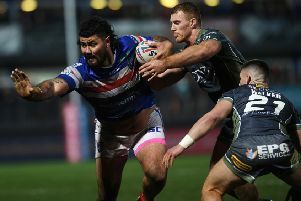 But it could have been so different as the player admitted he thought he had suffered a second anterior cruciate ligament injury in the loss against Catalans Dragons at Belle Vue just three weeks ago. Johnstone recalled: “First, I got an elbow from David Mead to my cheek. “It was all inflamed and it put a dint in it. “We had that in for a scan, but there was nothing wrong with that. “Twenty minutes later there was a loose ball and I went to pick it up, someone dived on it and my foot got caught and I managed to hyper-extend my knee. “That’s what I did last time and I thought I had done my cruciate again. The pain was just as bad as it was before. “It was the exact same team, same movement, same player. I just thought ‘oh my God’. “Then watching the video back it was just as bad as the first one so it was full panic stations. “I spent the following morning sat around (waiting for scan results). It was horrible to be in the house. “As soon as we got the call through to say the cruciate was intact, I was disappointed to be injured, but I don’t think I’ve ever been as happy. “I was so happy I didn’t have to go through that again. “That would have been the worst bit, working so hard to get back to where I am, to go through it all again and miss out on a possible call-up would have been devastating. “But it was just bad bone bruising and a tweak to my MCL. Johnstone did not get the call-up for the Test against the Kiwis in Denver in June but regular left winger Ryan Hall has since been ruled out until 2019 due to injury so there is an opening. However, the Yorkshireman insisted it was still a “bit of a shock” to get the news from England football manager Jamie Peacock. “After missing out on Denver I thought it might be the same, just a call to say you’ve just just missed out, especially getting that knock a few weeks ago,” he explained. “I am over the moon. I am absolutely buzzing to get that call from Jamie Peacock and to be told I am in the squad. The Yorkshire Post understands no England players featuring in the Grand Final on October 13 will play any part in the France game so there is a good chance Johnstone will make his debut then. Although Huddersfield Giants’ Jermaine McGillvary will not be in action at Old Trafford, St Helens’ Tommy Makinson - the other winger in the squad - will do if his side beat Warrington Wolves in Thursday’s semi-final. Wakefield centre Lyne will hope to benefit in the same way and take any opportunity he gets. 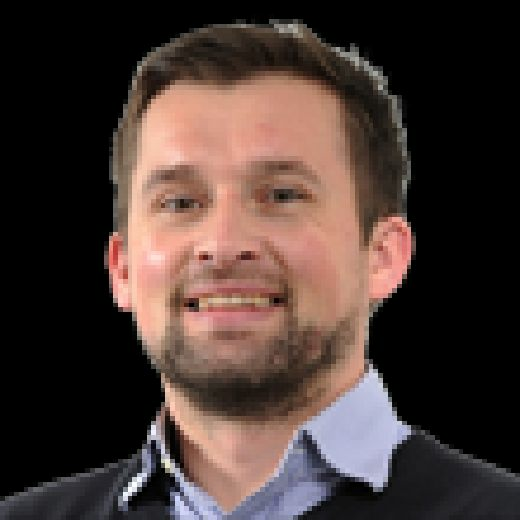 Johnstone added: “If the rest of the players have just finished the Grand Final they might be a bit tired so it might give us a chance to sneak in for the first game and have a run out. “That’s the goal, to try and cement a spot there and keep it for the rest of it. “From last year, being out for the season, all I wanted to do was get back playing and just enjoying my rugby. Johnstone says getting the chance to play the Kiwis would be a “childhood dream” come true but his dad will be even more excited. “I’ve watched them play at Headingley (against Leeds in 2015) and it was incredible so to actually step onto the field and play opposite Roger Tuivasa-Sheck - who’s my dad’s favourite player other than me - would be absolutely mindblowing. “I think my dad would be happier than I would. “It would round off a dream season for me, coming back from what happened last year."